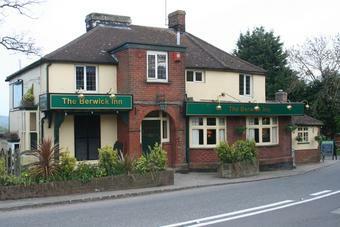 The Berwick Inn now has a new owner who has taken over from Marston and is looking to make changes. The new team are seasoned pub managers and things are looking hopeful. I went in recently and understand that they are now a Free House. Excellent news as they will now be able to serve Harveys and long Man Ales. 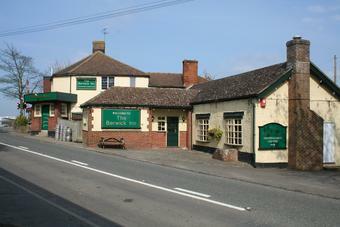 I really hope this is a proper new start for the pub - it looks encouraging so far!! Its probably fair to say, and reflecting the comments below, the pub has had a rough ride the past few years with publicans coming an going at a regular pace none of whom seem to have been able to make a go of the place. Perhaps as a result of this, or the brewery's lack of interest, the pub closed for business in January and still remains closed now, (June), and its future must remain uncertain. Its certainly on a sizeable plot if it was ever to be developed for housing, a point not missed by some I'm sure. We went to this pub before a gig being held at the village hall. So no prior knowledge of teh pub and no realistic choice either (we had travelled by train). 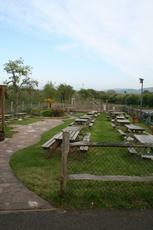 Our initial impression was poor, an empty slightly run down bar, no one behind the bar or infront either. the main bar down the stairs was great. The landlord and his wife were very friendly and welcoming, newspapers available, and the food we saw being served looked like good size portions. Harveys was on offer, as a barrell on the bar which pelased my husband. hay went to the berwick inn a few months ago you might of read my feelings on the pub. Anyway went for a drink with my wife. While speaking to the young lady at the bar she told me there was a few problems but have been sorted out since she and her husband to be' had gone into partnership with the land lady and land lord (tony and Linda) He has made progression in the kitchen and she has made good changes to the bar and hope to move upstairs soon to take a better look all round to try and enprove the place more, good luck to them all my time there was very pleasant.